Conagra Brands of Milton, Pa., is recalling approximately 717,338 pounds of spaghetti and meatballs. 14.75-oz cans with “Hannaford Spaghetti & Meatballs in tomato sauce made with pork, chicken & beef” on the label with package code 2100701200 and Use By Date 01/02/19. 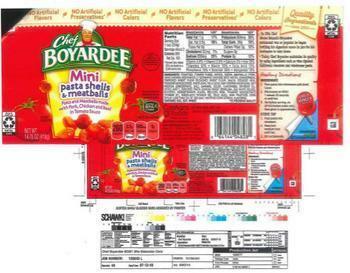 14.75-oz cans with “Food Club Spaghetti & Meatballs Made With PORK, CHICKEN & BEEF” on the label with package code 2100701200 and Use By Date 01/02/2019. The recalled products, bearing establishment number “EST. 794M” inside the USDA mark of inspection, were shipped to warehouses and retail locations nationwide.